This College Algebra course develops students’ understanding of complex algebraic principles. 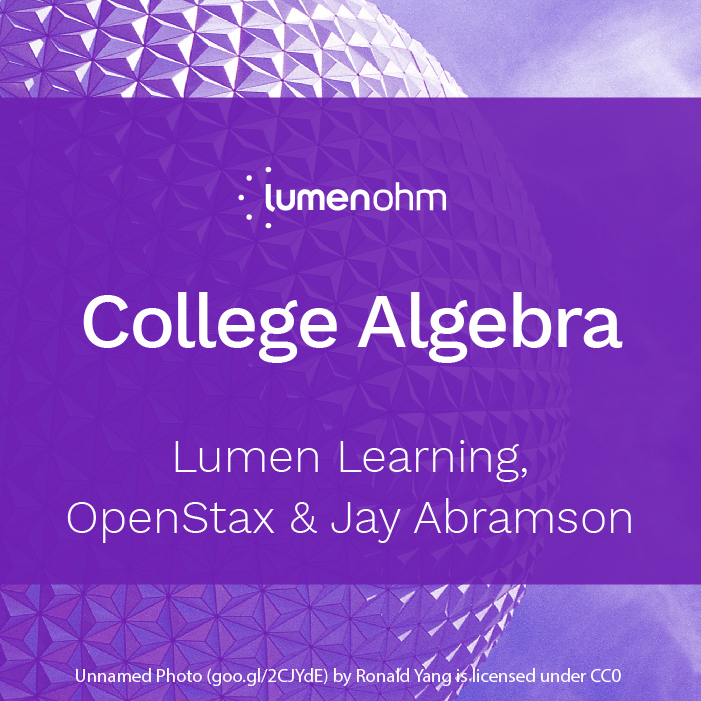 With the OpenStax College Algebra book as a foundation, this course augments learning with worked examples in text and video. Each module begins with real-world problems we can solve using concepts explored in that section, to engage students and provide context for how to apply math in everyday life. Topics include a function basics, quadratic and polynomial functions, exponential and logarithmic equations, and more. Interactive practice problems and online assessments are provided using Lumen Online Homework Manager (OHM), a robust online math homework engine that works inside your LMS. OHM is an extremely affordable OER tool that gives students the rigorous practice they need to master math.